Last week we asked for more suitable names for Tesla’s Autopilot. This week Tesla is in the news again because they want to take over the world. Okay, that got away from me at the end there. Apologies. Elon Musk and his Master Plan Part Duex, did say that he is planning EVs in every segment of the market, and public transit, and solar roofs and vehicle sharing. And autonomous vehicles that are 10x safer than they are now in Tesla’s newest World Conquest Master Plan: http://autoweek.com/article/green-cars/musks-latest-master-plan-tesla-evs-all-major-segments-self-driving-thats-10x. Clearly, Tesla plans on branching out well beyond the initial World Conquest Master Plan of 2006. He made a notable vehicle then and now—Autopilot problem aside. Mission accomplished. Now he is planning on a beautiful solar roof with a battery. Yep. A beautiful. Solar roof. With a battery. Why? So each human being can be empowered to be “their own utility.” This sounds vaguely-and-creepily-utopian-but-also-Matrixy-because-humans-were-power-sources. Don’t you think? Step two in the World Conquest Master Plan is to introduce EVs in every part of the market. 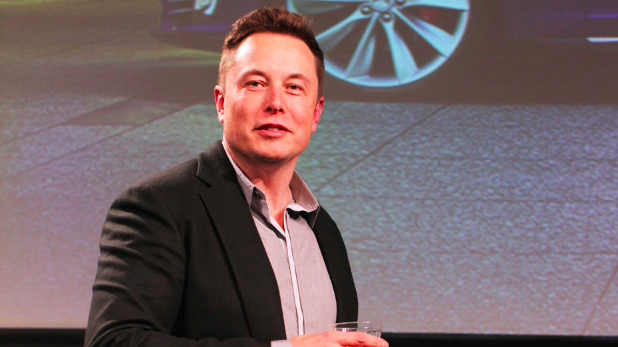 Specifically, Tesla plans a small SUV and a medium truck. I wonder if that means a running around town truck or a work truck because work trucks need a lot of power and torque that I am not sure an EV could provide without draining the battery. The other thing is the SUV and truck population aren’t longing, necessarily, for an EV that can self-drive for their needs. Maybe the small SUV set might be, but the work truck folks? I don’t know about that. But I may be wrong. Steps three and four of the World Conquest Master Plan involve autonomous drive technology and car sharing. Car sharing as in while you are sleeping you can have Tesla share your car and make money for you. This is contingent on the Tesla being a beck and call type of vehicle which admittedly the whole industry is pushing for. Which brings me to the thing I found most interesting. Wait, what? You called it beta, not because it’s in beta, which means needs improvement and is in testing, but so that we would know that it still needs improvement while it’s not in testing? Does that make any sense? Maybe the World Conquest Master Plan is actually a don’t focus on the investigations over here plan. But what do you think? Apparently, the victorious plaintiffs in a class action lawsuit against New Miami, Ohio over its use of red-light cameras want their money now. And they want it from the revenue that the new red-light cameras are collecting. I’m glad they won since the cameras violate due process and are really about revenue generation and not citizen protection anyway. With that being said I don’t think asking for the money from other victims of the red-light scam is appropriate. I think the town needs to fork over the cash and not a new crop of the scammed.